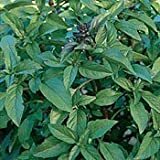 Thai basil growing shrub‎ type of basil of genus Ocimum also known as Thailand basil, Thai basil perennial or cold annual plant, can grow in mediterranean, subtropical, temperate or tropic climate and growing in hardiness zone: 10b+ (perennial), 5-10 (as annual). Leaves color light to dark green leaves with purple stems, leaf shape is ovate. 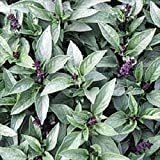 Flower color purple, small flowers grow on inflorescence. 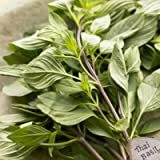 Thai Basil Herb 100 Seeds - GARDEN FRESH PACK! 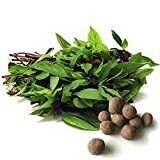 Thai Basil Seed Balls - Herb & Vegetable Seed Bombs to make gardening fun and simple! 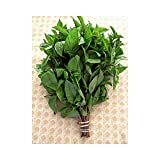 Is it necessary use vegetative reproduction in Thai basil?